Right-click on any of the selected nodes and select Align nodes in the contextual menu. The nodes are then aligned horizontally or vertically, depending on their initial position. If the nodes are already aligned, the entry does not appear in the menu. 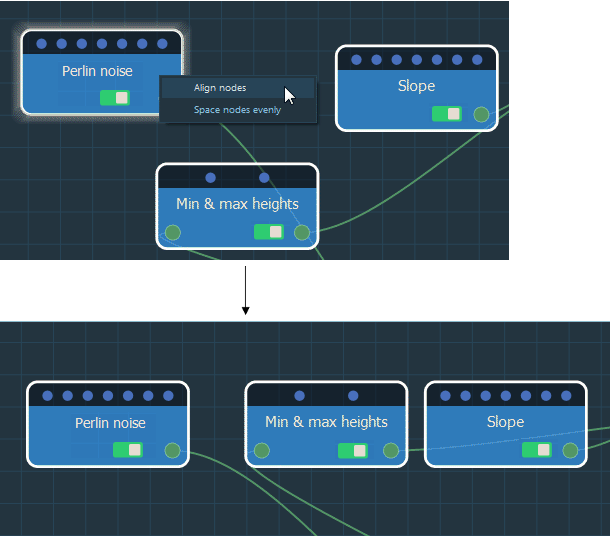 Right-click on any node and select Space nodes evenly in the contextual menu. The nodes are evenly spaced, horizontally or vertically, depending on their initial position. 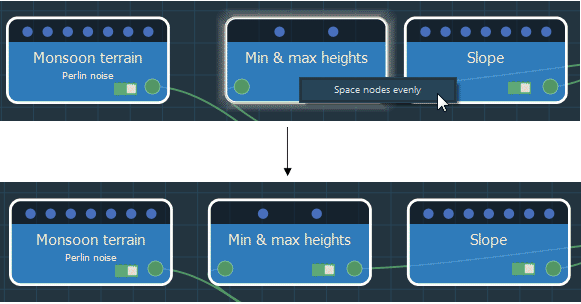 If the nodes are already evenly spaced, the entry does not appear in the menu.